Micrograph captured with a Leica DM2500 polarizing microscope. 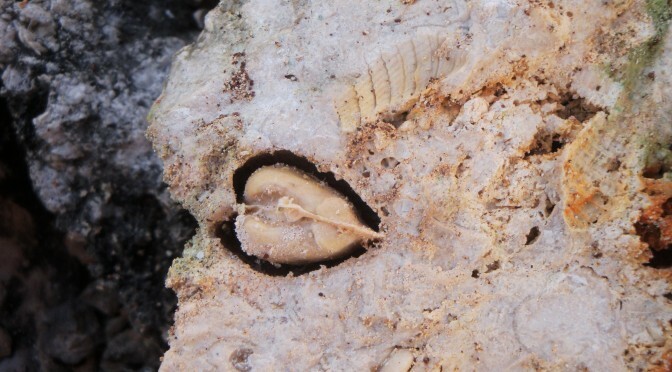 A bivalve cast encrusted in basal rock. The empty spaces were occupied by the now gone, dissolved shell.